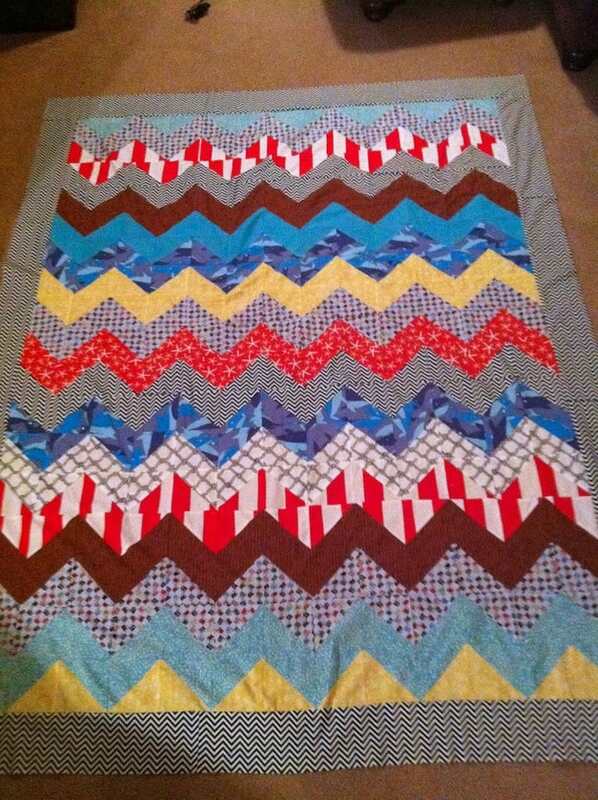 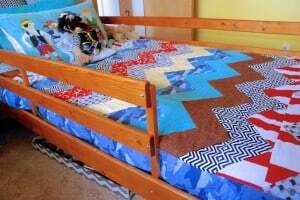 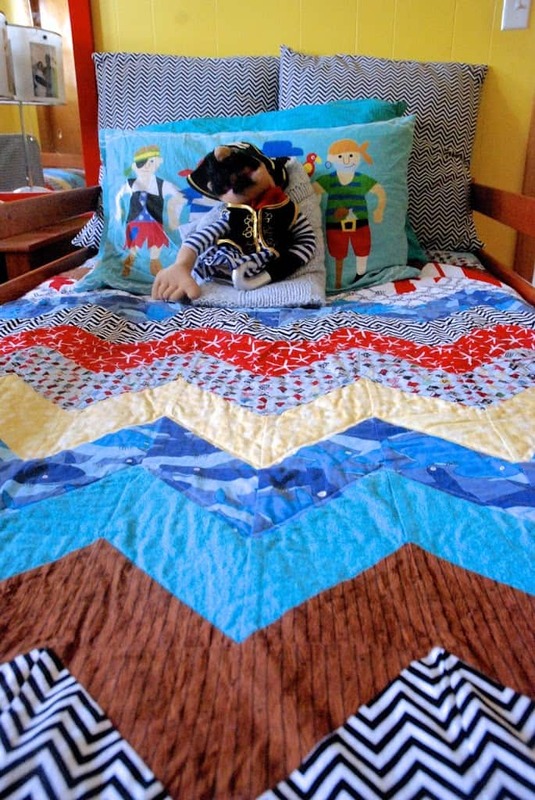 Over a year ago I came across a picture of chevron quilts and immediately I knew that I wanted to make them for the boys. 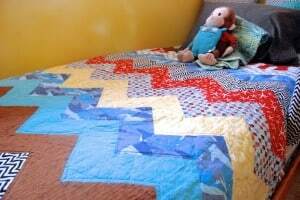 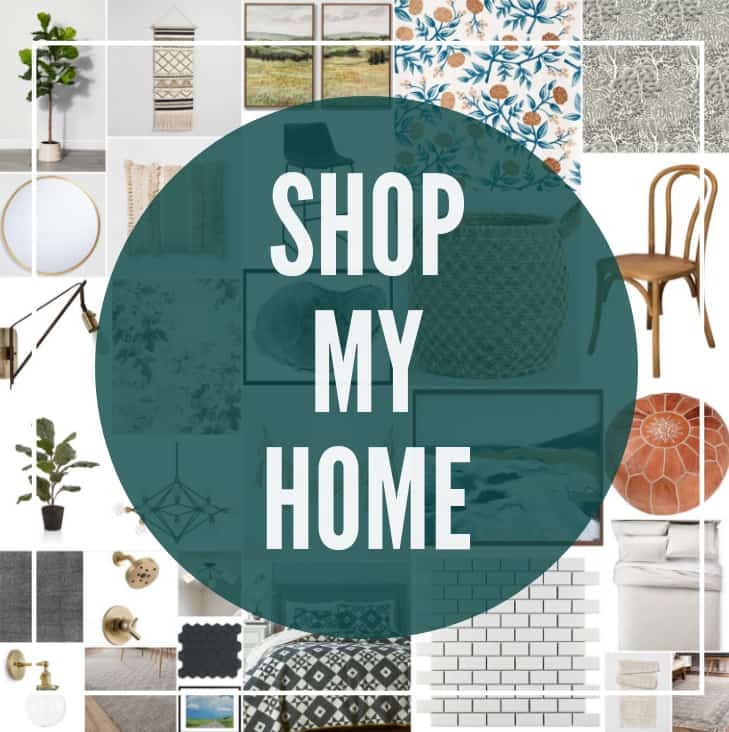 Although the picture was my inspiration I created my pattern by making a very detailed sketch on some graph paper.I ordered fabric, pieced the quilts, even basted them, all back while we lived with my parents in MN. 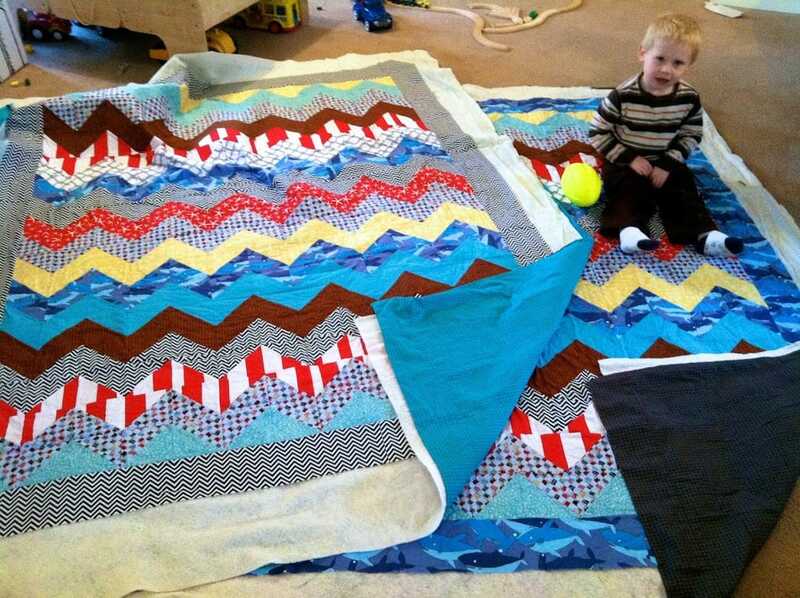 Wasn’t Jack adorable too? He was so little and so excited for the quilts that took me a year to make. 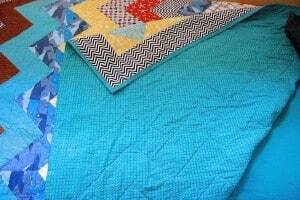 Then they sat for 9 months until on Christmas Eve when I stayed up super late finishing two twin quilts in time to give the boys for Christmas. 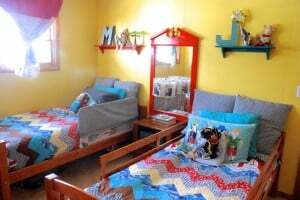 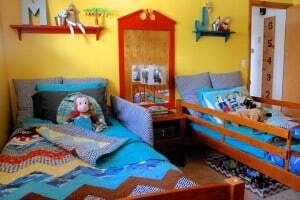 Then I put them on the boys beds and here we are, 4 months later and I’m finally sharing them with you. 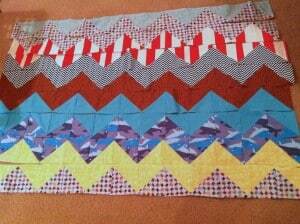 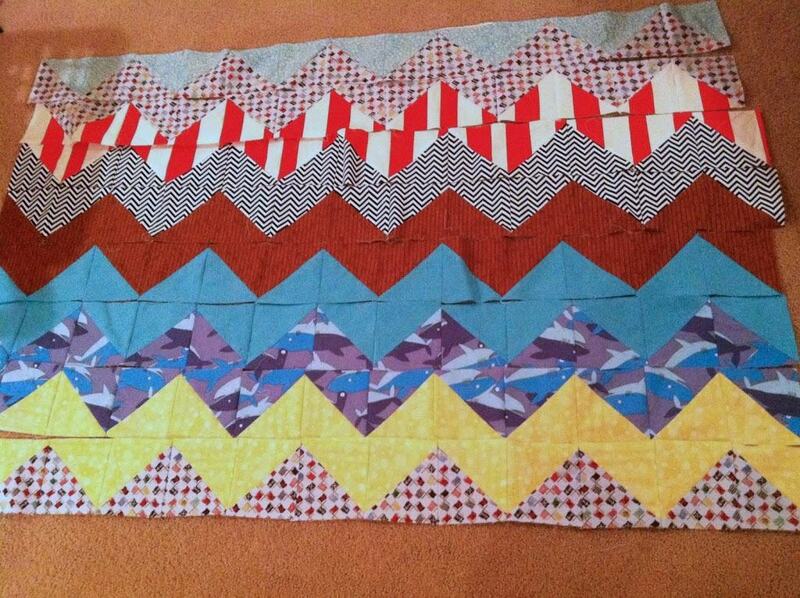 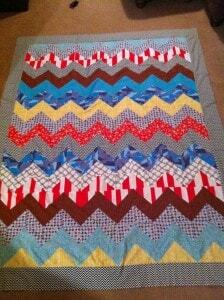 Part of what took so long was the chevron quilting, but doesn’t it look good on the back of the quilts? 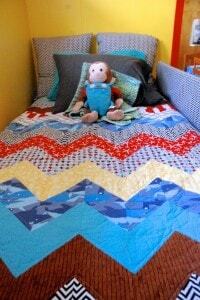 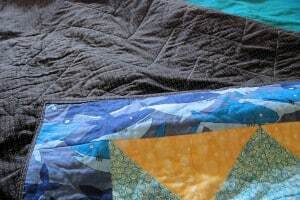 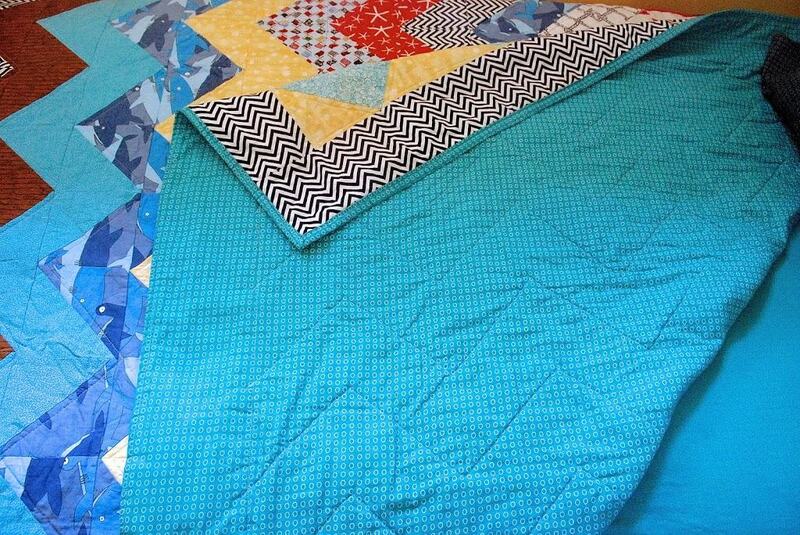 Jack’s quilt is the black backing with the shark border and Mase’s is the blue backing with the chevron border. 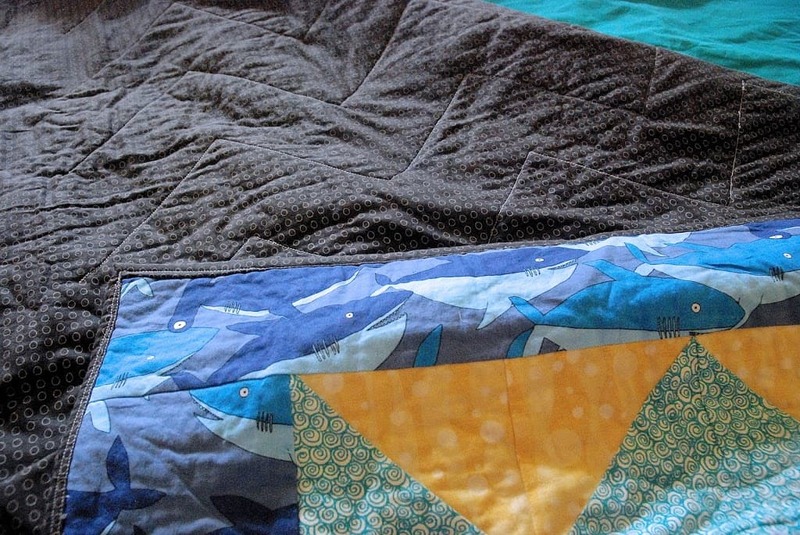 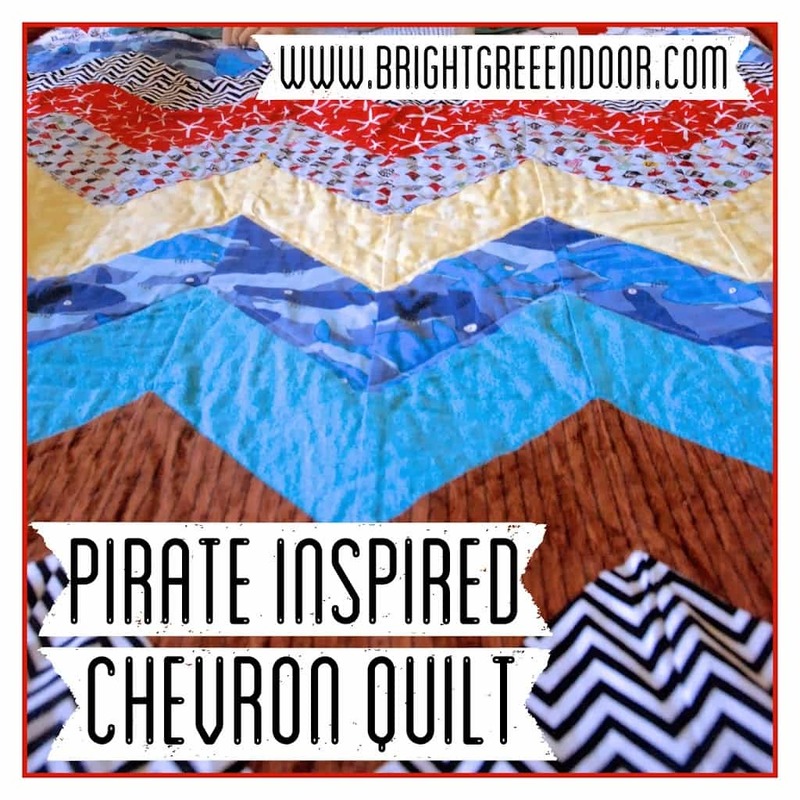 If you’re wondering what makes the quilts “Pirate Quilts” it’s the different fabrics: wood planks, bubbles, sharks, pirate flags, waves, starfish, bandana stripes, and netting. 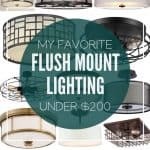 I had a lot of fun finding all of these. 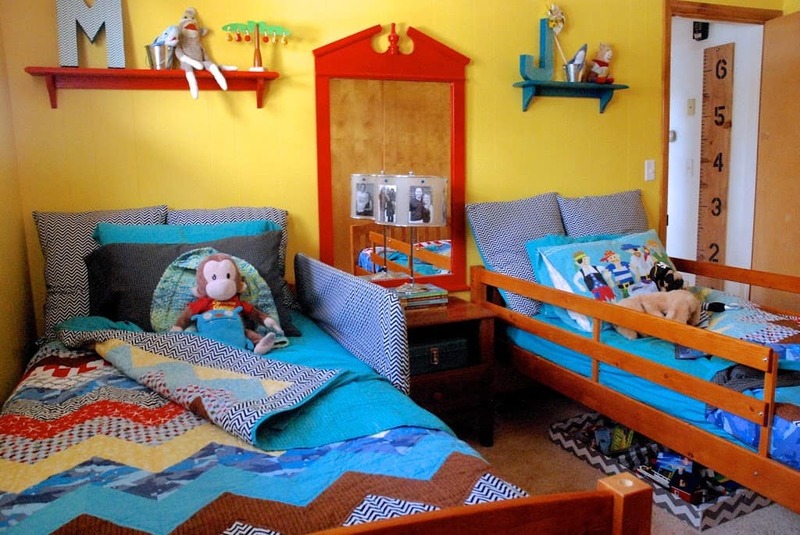 The boys room is so bright and cheerful I was happy to be able to make it a “Pirate Room” without any scary skulls or crossbones! 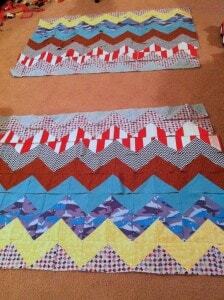 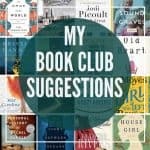 I’m also loving the big chevron square pillows I made recently for when they are reading in bed. 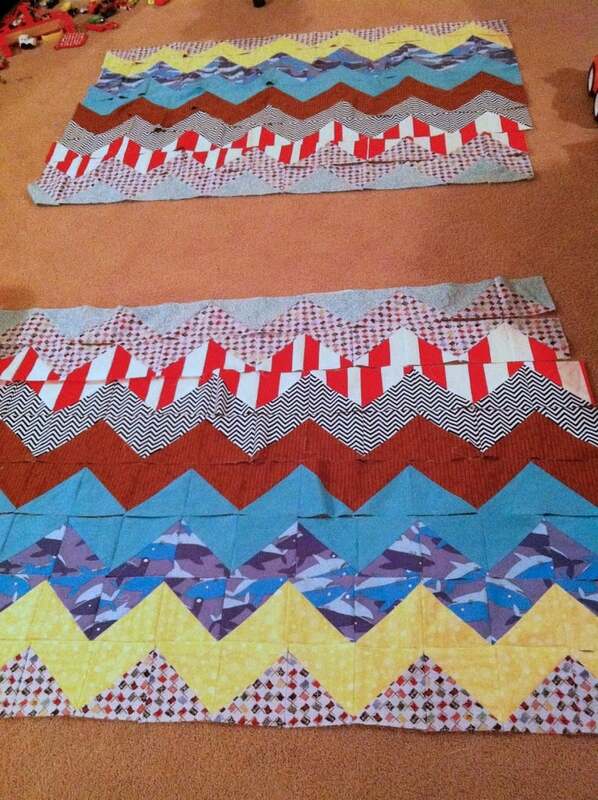 I’m proud that my most time consuming project…possibly ever, is one that I could share with love for the boys. 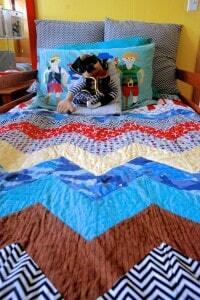 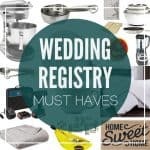 Hopefully they will treasure them forever, even if eventually they end up under some cool “big kid” comforter.